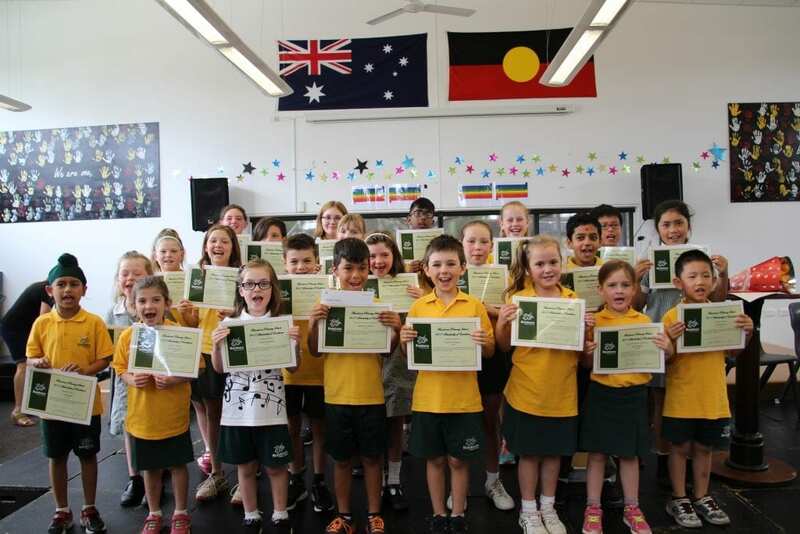 Bundoora Primary School once again celebrated excellence by awarding Bundoora Primary School Scholarship of Excellence Awards to two students from each teaching area. Our teachers and students pride themselves on displaying and celebrating our school values of Excellence, Respect, Resilience, Friendship & Cooperation throughout the school year. Students were commended for their commitment to learning, demonstrating outstanding behaviour and always striving to be the best that they can be. Students were also commended for their effort during the year, showing resilience and a dedicated attitude to never give up! Each recipient received a Certificate and $100.00 towards their education. Our Local Member of Parliament, Colin Brooks, assisted with presenting our Awards in front of a huge audience of school community families. We believe that students who have demonstrated exemplary performance to one or more of our Bundoora Primary School Values should be acknowledged and congratulated.